Sitting in Philippa Stockley‘s garden in Whitechapel last week reminded me of Clematis Montana that grows so readily in East London. In recent years, I have seen them all over the neighbourhood spreading rampant on fences and even up onto telegraph poles. I photographed the fine specimen above growing in Woodseer St at the junction with Spital St, where I have admired it over successive summers as it has crept further and further along the fence. A remarkably hardy species, it is undiminished by the rigors of last winter. Rejected by some gardeners for its ubiquity and ridiculous profusion of flowers, I embrace Clematis Montana for its vigorous life. 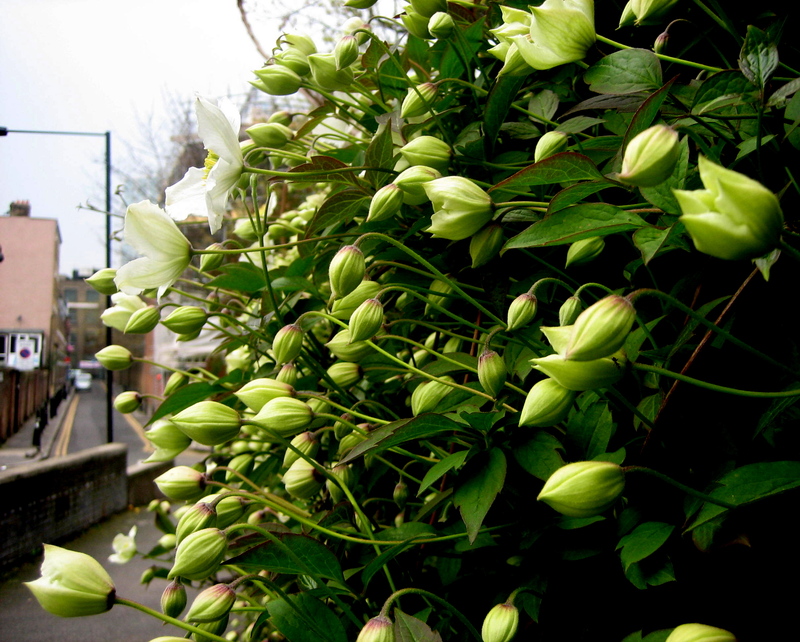 In my garden, there is an old Laurel that has grown to become a tree and this morning I bought myself a white Clematis Montana at Columbia Rd for £6 to climb up and smother it with flowers. 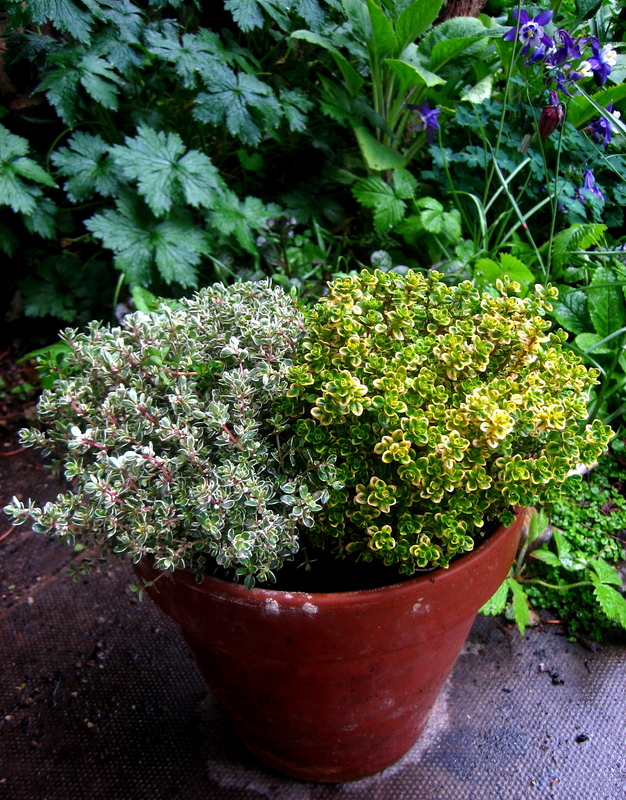 Then for £5 I bought two Thyme plants, a Variegated and a Golden Thyme to plant together in a pot on my kitchen window sill. It was a moist occluded morning and by the time I arrived home, it was raining for the first time in weeks, which seemed slightly exotic, whilst being just what my garden needs now. People who fuss over every little blade of grass and attempt to exert total control over the natural processes of their “gardens” remind me of folks who fuss over wine and fancy themselves “connoisseurs”. A polite word for snooty if you ask me. Like you, I prefer to let Nature have her way as far as is possible. It’s our inclination to the contrary that’s got us into our present rather dire straits. We share the same beliefs about gardening and nature and the way of the world.